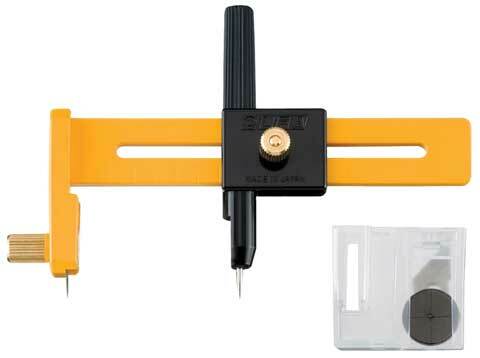 Cut precise circles from 1cm in diameter up to 15cm (6") with this cutter. A receptacle in the compass body holds five spare blades and a pencil lead keeping them always at hand. Includes six blades. Uses OLCOB-1 replacement blades.